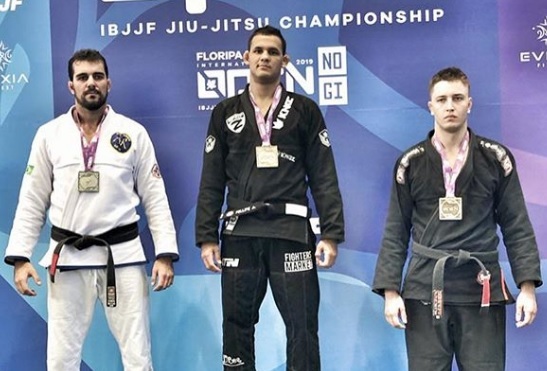 Fellipe wears a gold medal won in the gi part of the event. Two days of fighting and four gold medals. That sums up the campaigns of Fellipe Andrew (Zenith) and Cláudia Do Val (De la Riva) last weekend at the IBJJF’s Floripa Open. 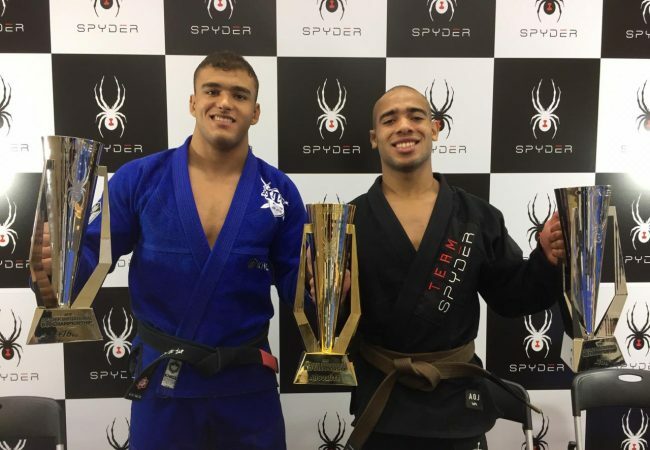 Fellipe and Cláudia began their victorious weekend in classical BJJ. To Fellipe, gold was first struck in the super-heavyweight division, where he beat Aloysio Lopes (AR Dojo). 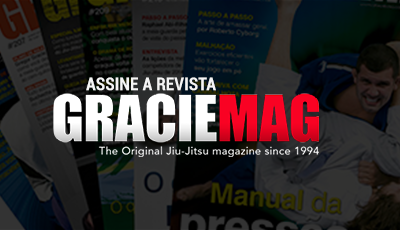 Then, in the absolute, Fellipe beat Henrique Lima (Checkmat). Cláudia was unopposed in her weight division, but had to work to defeat Sabatha Lais and claim the absolute title. Day 2 — no-gi day — was quieter. Fellipe had no opponents at super-heavy; he was able to focus on the absolute division, where he bested Luciano Bernet (Atos). Cláudia do Val had no opponents in either division she enrolled in. Find the weekend’s complete results here.